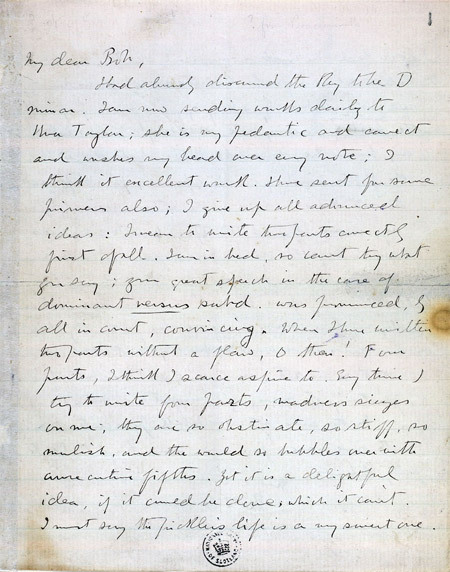 Letter to Robert Alan Mowbray Stevenson. Stevenson wrote this letter to his cousin, Robert Alan Mowbray Stevenson, when he was living in Bournemouth. It was 1887, and he was confined to bed for much of the time. He turned to writing music as a diversion.